The Hollings Library houses the Thomas Cooper Library’s growing Rare Books and Special Collections and provides the first permanent home for the University’s South Carolina Political Collections. University of South Carolina is the first and oldest publicly funded university in the United States. 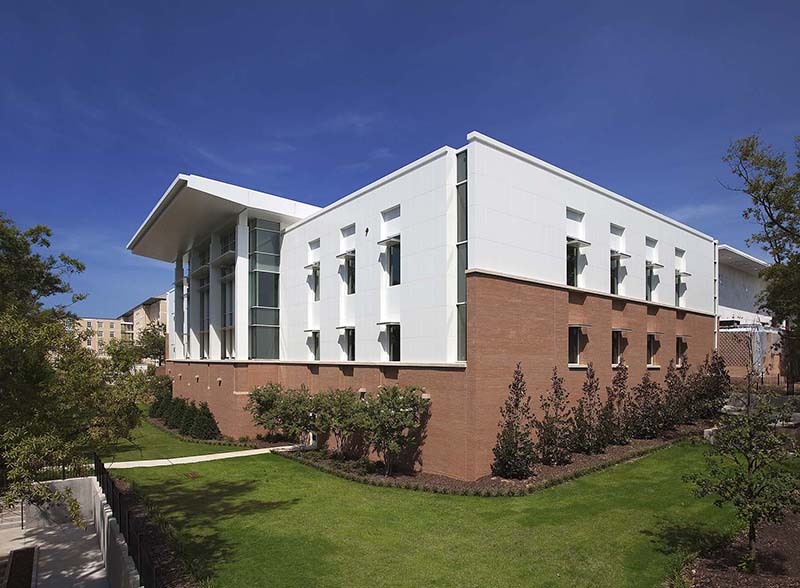 The new state-of-the-art library is home to three departments of the University Libraries: The Irvin Department of Rare Books and Special Collections, South Carolina Political Collections, and Digital Collections. 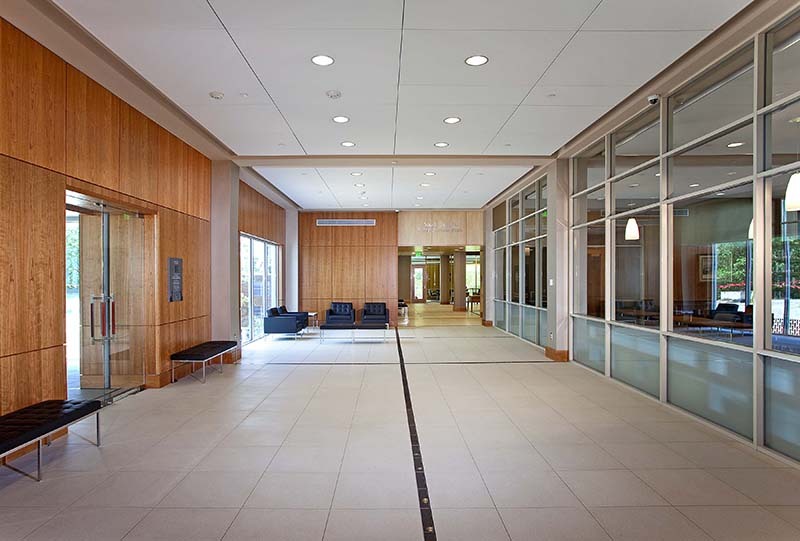 Special features include a large reading room and work areas for researchers and other visitors, seminar rooms, a mini theater, exhibit galleries, a secure “treasure” vault, space for meetings or other events, a digitization center, and a room for audiovisual research. 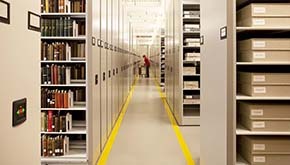 The use of high-density compact shelving in the stack areas allows a capacity of about 47,000 linear feet, which will accommodate about 250,000 volumes of books, manuscripts, political papers, folios, maps, and framed items. Complex fire protection systems were installed to safeguard the collections. 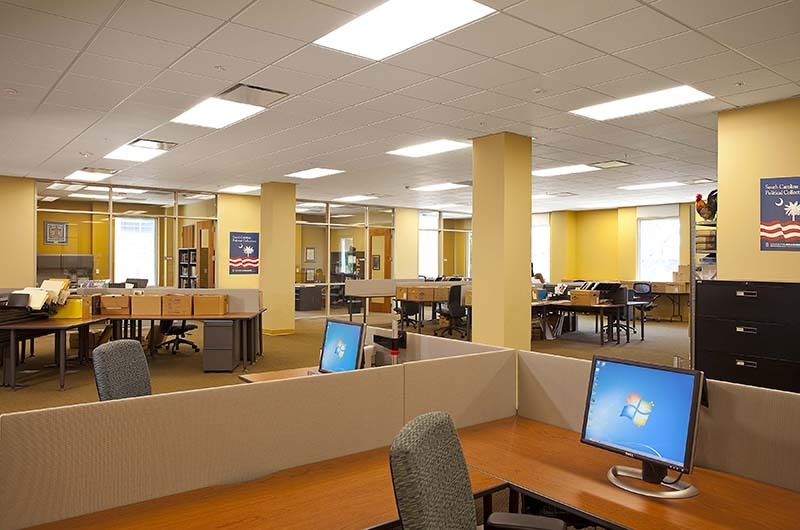 Gilbane worked closely with the library staff to mitigate any disruptions to the occupied, adjacent Thomas Cooper Library, which remained operational and established quiet working hours during exam weeks.